We count at least thirteen people waiting to be sentenced for violating or conspiring to violate the Foreign Corrupt Practices Act. Both offenses carry a prison term of up to five years. And for substantive offenses the fine can be up to $250,000 or twice the gross gain produced by the bribes. Those on our list either pleaded guilty or were convicted at trial. Their names (linked to posts describing their guilty pleas or convictions) are followed by current sentencing dates. 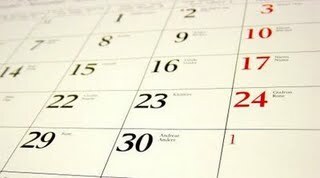 The dates often slip, so we'll try to stay on top of any changes. Who are they? A former congressman, a famous entrepreneur, husband-and-wife movie producers, c-level executives and top managers. Real people who are probably going to jail. 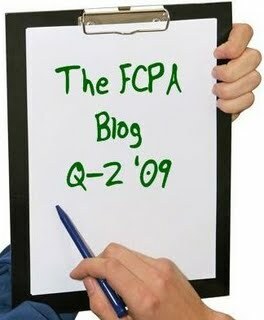 Yes, the FCPA is serious, and the consequences of not complying with it can be tragic. Frederic Bourke -- November 10, 2009. Mario Covino -- January 25, 2010. Juan Diaz -- November 13, 2009. Gerald and Patricia Green -- December 17, 2009. William Jefferson -- November 13, 2009. Joseph T. Lukas -- April 6, 2010. Richard Morlok -- January 25, 2010. Leo Winston Smith -- December 18, 2009. Albert "Jack" Stanley -- February 24, 2010. Let us know if there are others who belong on the list. Joseph T. Lukas (June 29, 2009) Guilty plea to a two-count criminal indictment. Lukas, 60, a partner in Nexus Technologies Inc. until 2005, was indicted in September 2008 on one count of conspiracy to bribe Vietnamese public officials in violation of the Foreign Corrupt Practices Act and one substantive count of violating the FCPA. He admitted in his guilty plea that from 1999 to 2005, he and other Nexus employees agreed to pay, and knowingly paid, bribes to Vietnamese government officials in exchange for contracts with the officials' agencies. At his sentencing scheduled for April 2010, he faces up to 10 years in prison and a possible $350,000 fine. The 2008 indictment also charged Nexus and alleged co-conspirators Nam Nguyen, Kim Nguyen and An Nguyen, all U.S. citizens, with similar violations. Their cases are still pending. William Jefferson (June 9, 2009) The start of his federal criminal trial in Alexandria, Virginia. It's the first time a former member of congress has been prosecuted under the Foreign Corrupt Practices Act. Jefferson, 62, faces up to 20 years in prison. He's accused of violating the FCPA by arranging bribes to African officials to win contracts for his family's companies, and with soliciting and accepting bribes, wire fraud, money laundering and obstruction of justice. He lost an election last year for a 10th term in the House of Representatives from a district that includes New Orleans. Frederic Bourke (June 1, 2009) The start of his federal criminal trial in Manhattan. The co-founder of luxury handbag brand Dooney & Bourke is accused of investing in a deal in Azerbaijan in 1998 that he knew involved paying bribes to officials there. He faces up to 30 years in jail for conspiring to violate the FCPA, money laundering and lying to federal investigators. Bourke says he didn't know about the bribery. His co-defendant Viktor Kozeny is a fugitive in the Bahamas. United Industrial Corporation (UIC) (May 29, 2009) Civil enforcement action resolved. Thomas Wurzel (May 29, 2009) Civil enforcement action resolved. The SEC filed a settled enforcement action against Thomas Wurzel, the former president of UIC's one-time subsidiary, ACL Technologies, Inc.. He agreed to pay a $35,000 civil penalty. The SEC said Wurzel authorized illegal payments to Egyptian Air Force officials in 2001 and 2002 through an agent in return for business related to a military aircraft depot in Cairo. Wurzel and UIC were charged with violating the antibribery, books and records and internal controls provisions of the Foreign Corrupt Practices Act; Wurzel also faced aiding and abetting violations. Novo Nordisk A/S (May 11, 2009) Criminal and civil enforcement actions resolved. Denmark-based Novo Nordisk agreed to pay a $9 million criminal penalty and enter into a deferred prosecution agreement with the DOJ for illegal kickbacks paid to the former Iraqi government under the U.N. oil-for-food program. It also agreed to pay $3,025,066 in civil penalties and $6,005,079 in disgorgement of profits, including pre-judgment interest, to the SEC. The DOJ charged Novo with one count of conspiracy to commit wire fraud and to violate the books and records provisions of the FCPA. In the civil enforcement action, the SEC charged Novo with violating the FCPA's books and records and internal controls provisions. Sun Microsystems (May 7, 2009) Investigation disclosed. Sun said in an SEC filing that it may have violated the FCPA. It didn't reveal where the payments might have occurred or how much the bribes amounted to. But it said the potential offenses, which it has reported to U.S. and other authorities, "could possibly have a material effect on our business." Juan Diaz and Antonio Perez (April 27, 2009) Guilty pleas to a one-count criminal information. Diaz and Perez, both 51 of Miami, pleaded guilty to a one-count criminal information. They were charged with conspiracy to violate the FCPA by making corrupt payments to officials from Telecommunications D'Haiti. Diaz paid and concealed $1,028,851 in bribes while acting as an intermediary for three private telecommunications companies. Perez arranged bribes of $674,193 to the Haitian officials while he worked as a controller at one of the companies from March 1998 to January 2002. Stuart Carson, Hong (Rose) Carson, Paul Cosgrove, David Edmonds, Flavio Ricotti, and Han Yong Kim (April 9, 2009) Indicted by a federal grand jury. The six former executives of Control Components Inc., an Orange County, Calif.-based valve company, were charged with conspiracy to violate the FCPA and the Travel Act, violating the FCPA, and as to Hong (Rose) Carson, one count of obstruction. It was the biggest multi-party indictment of individuals yet under the FCPA. Earlier this year, two other former executives from Control Components admitted paying bribes to foreign officials and have been cooperating with authorities. Richard Morlok, 55, the former finance director, and Mario Covino, 44, the company's former director of worldwide factory sales, pleaded guilty to one count of conspiracy to violate the FCPA. They're sentencing is set for July 20, 2009. Shu Quan-Sheng (April 7, 2009) Sentenced to prison. The Virginia-based physicist who sold controlled space-launch technology to China by bribing government officials there was sentenced to 51 months in prison. Shu, 68, a native of China and naturalized U.S. citizen, pleaded guilty in November 2008 to one count of violating the FCPA and two counts of violating the Arms Export Control Act. Shu had already forfeited $386,740 to the federal government before being sentenced to prison. Latin Node Inc. (April 7, 2009) Criminal enforcement action resolved. The former privately held Florida telecommunications company pleaded guilty to a one-count criminal information and agreed to pay a fine of $2 million over the next three years. It was charged with violating the FCPA's antibribery provisions by making improper payments in Honduras and Yemen. Click on the party names for the original posts, with links to the charging documents, plea agreements, and news and litigation releases. View our enforcement report for Q1 '09 here. View our 2008 enforcement index here.